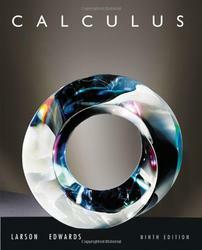 Welcome to the Ninth Edition of Calculus! We are proud to offer you a new and revised version of our textbook. Much has changed since we wrote the first edition over 35 years ago. With each edition we have listened to you, our users, and have incorporated many of your suggestions for improvement. Fitting a Linear Model to Data. A basic premise of science is that much of the physical world can be described mathematically and that many physical phenomena are predictable. This scientific outlook was part of the scientific revolution that took place in Europe during the late 1500s. Two early publications connected with this revolution were On the Revolutions of the Heavenly Spheres by the Polish astronomer Nicolaus Copernicus and On the Structure of the Human Body by the Belgian anatomist Andreas Vesalius. Each of these books was published in 1543, and each broke with prior tradition by suggesting the use of a scientific method rather than unquestioned reliance on authority. One basic technique of modem science is gathering data and then describing the data with a mathematical model. For instance, the data given in Example 1 are inspired by Leonardo da Vinci’s famous drawing that indicates that a person’s height and arm span are equal.